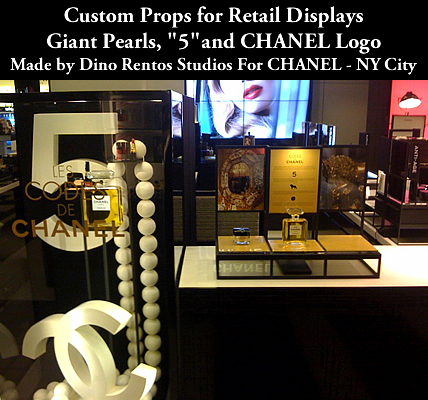 Retail Displays - Foam Sculptures & Props - Window Displays - Dino Rentos Studios, INC.
Want to catch your customer's eye? Need a display to enhance the visual for your product or item for sale? We have the materials and creative vision to produce the most eye-catching and visual stunning retail displays for your store. 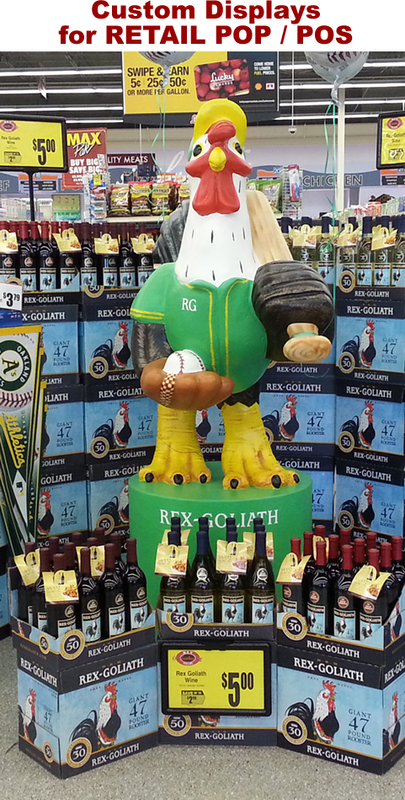 Increase sales and consumer foot traffic with your very own custom retail sculpture displays. Various materials, coatings and finishes are available to enhance your vision. Contact us today to discuss your project. 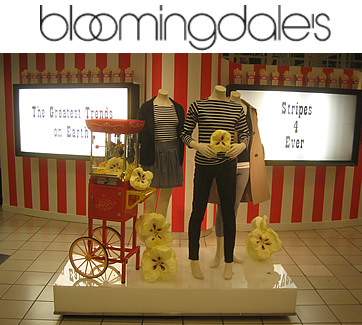 Marketing companies and Retailers from around the country contact us to manufacture those one-of-a-kind display pieces for stunning window displays. 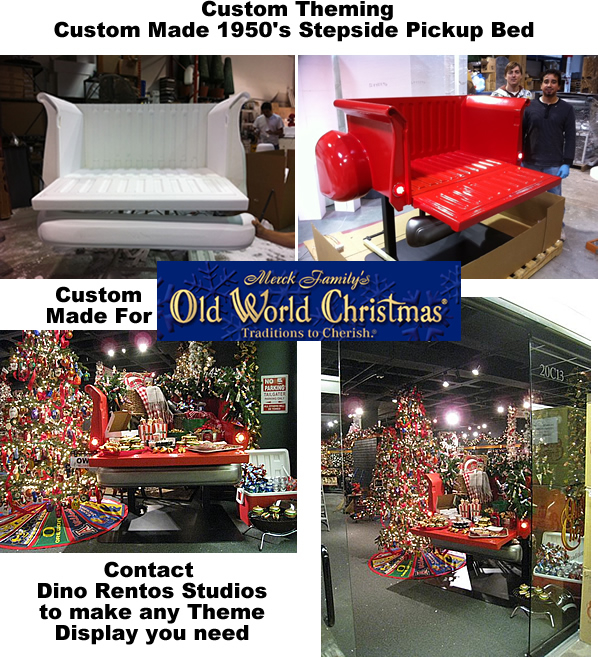 Our custom Props are made from plastics, Foam, wood and steel to your exact needs. Marketing companies find us as an excellent resource to produce the props they need. Call us for more information 800-704-7089. Our custom prop makers are standing by to help you. 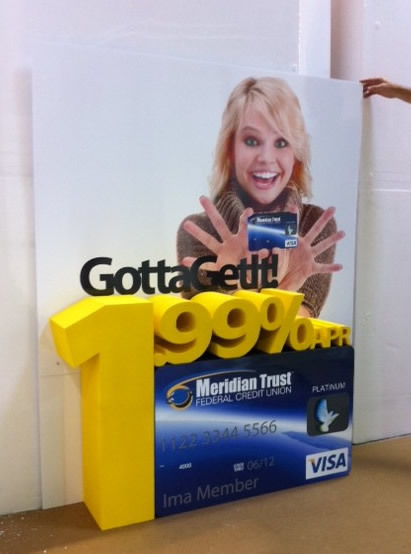 Contact us for 1 - 10,000 point of sale / point of purchase displays. 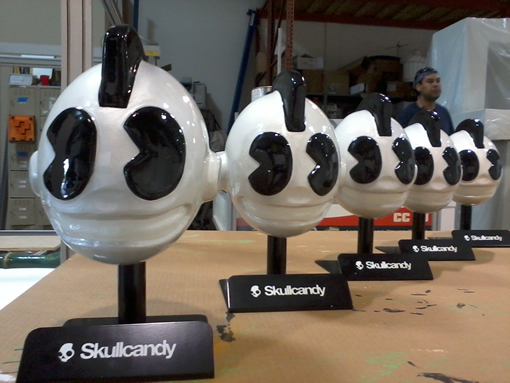 We make our custom prop displays for print, foam, wood, and metal. Not sure what you need? We can help you with a design. Scroll down to see.. Foam Retail Props custom made. Dino Rentos Studios for a major retailer. 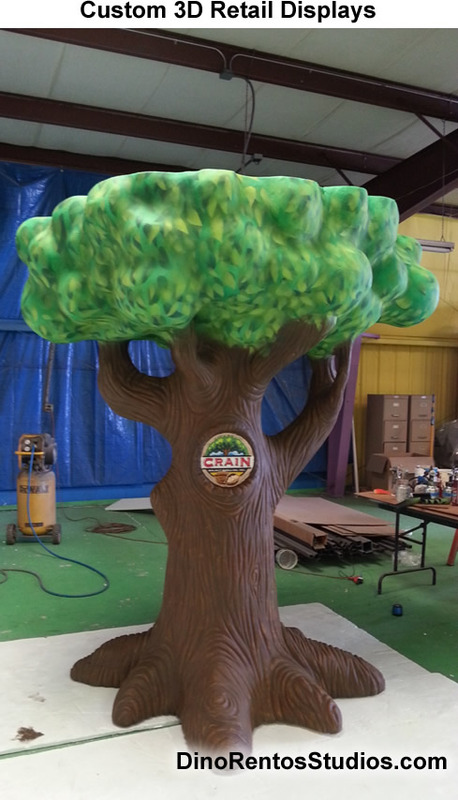 Custom Foam Sculpture Prop for retail display was requested by Crain's Walnuts. This Foam Sculpture was also used in Trade Shows. It is fully hard coated for durability and painted to the customers specs. Hopper Logo for DISH network. Faux Truck Bed Foam Prop Display for retailers to show of product. cardboard to give that 3D pop !